Nihon-bashi bridge in Edo and the Sanjô-Ôhashi in Kyoto. For the reasons of military defense, Ieyasu ordered that no bridge should be built across the Ôi-gawa river, the Abe-gawa river, and other long rivers. The ferry boat services across the Ôi-gawa River were also prohibited. The current of the Ôi-gawa River became very rapid after much rainfall and it was dangerous to cross the river. This gave birth to the professional fording coolies. 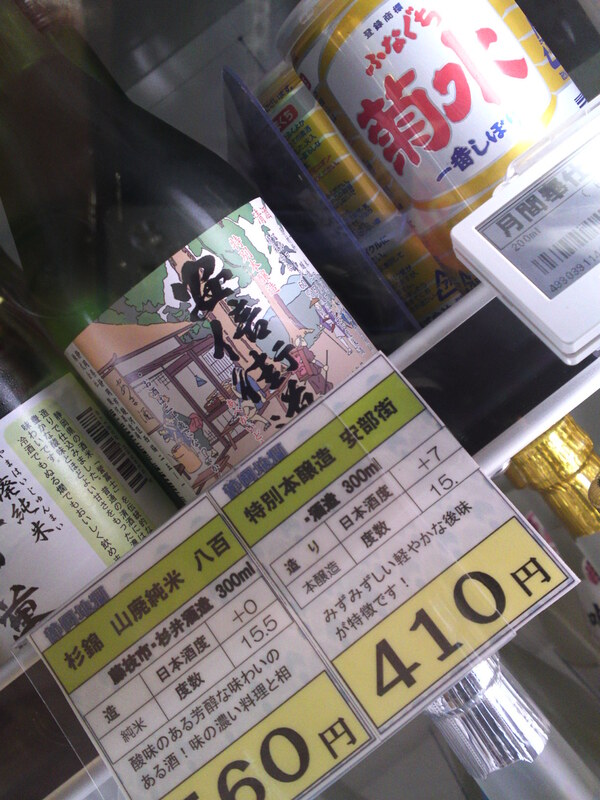 They were called “Kawagoshi Ninsoku”. In 1696, the shogunate built the Office of Fordingin Shimada Inn Town (Station town) at the river side of the Ôi-gawa River and put the forders’ services under supervision. There were six classes of the services for crossing the river. Fording on the shoulders of one carrier was the cheapest. 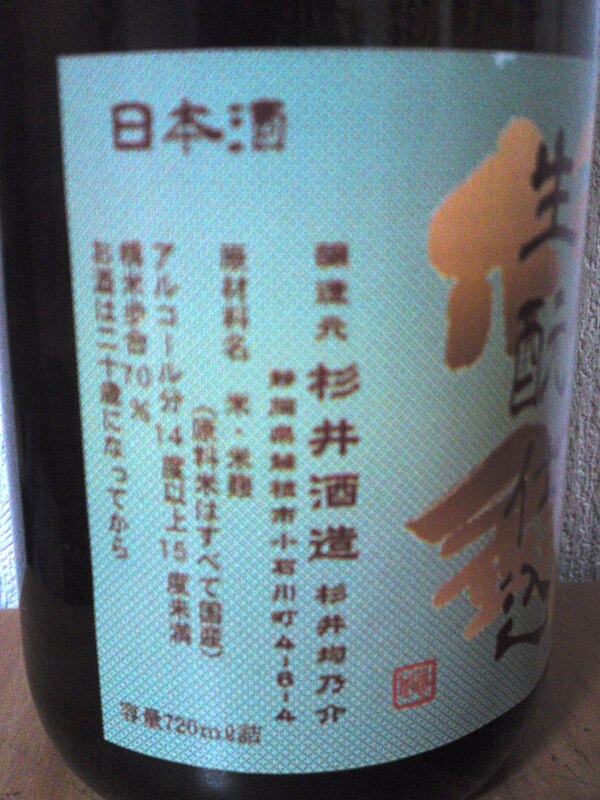 It required only one wooden “river tablet” for one coolie which could bought at the Office of Fording “Kawa Kaisyo”. 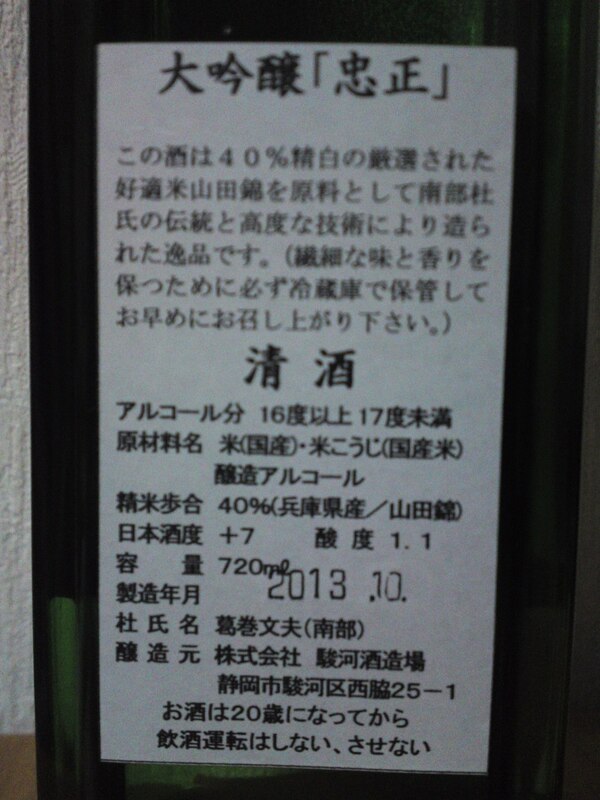 For the Carrying Boardscalled “Rendai”, a Rendai tablet for its rental fee had to be bought. 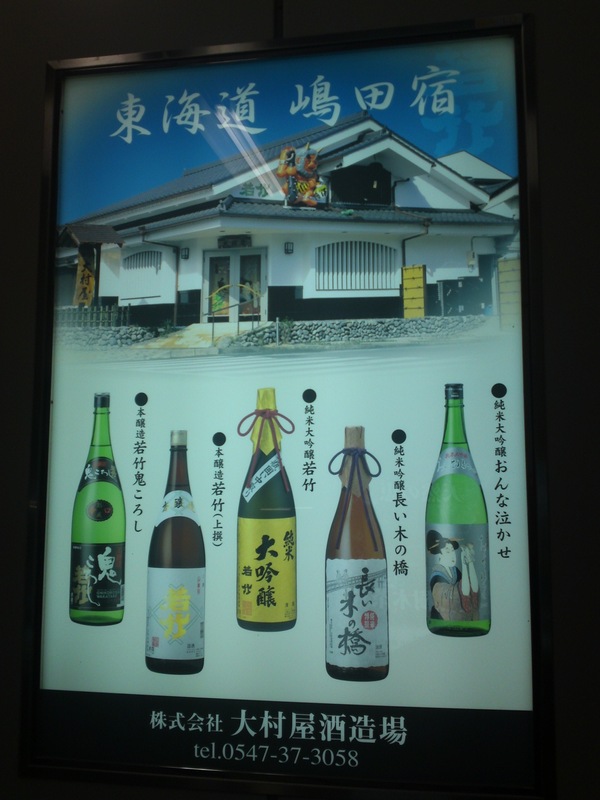 The fares of the services varied according to the class of the carrying boards “Rendai” and the number of the fording coolies. The warlord’s palanqueen was put on an extravagant Rendai and was carried by a dozen of the carriers and a few assistants. The fares depended also on the depth of the day of the water in the river. Each day, the official tariffs on the services were decided. No carrier could ask for an exhorbitant price for their services. When the depth of the water reached 136 centimeters, fording was prohibited. Sometimes, travelers had to wait more than twenty days at the Inn Town until the depth of the water would decrease. No traveler was permitted to ford the river by his/her own means whatever the conditions of the river. 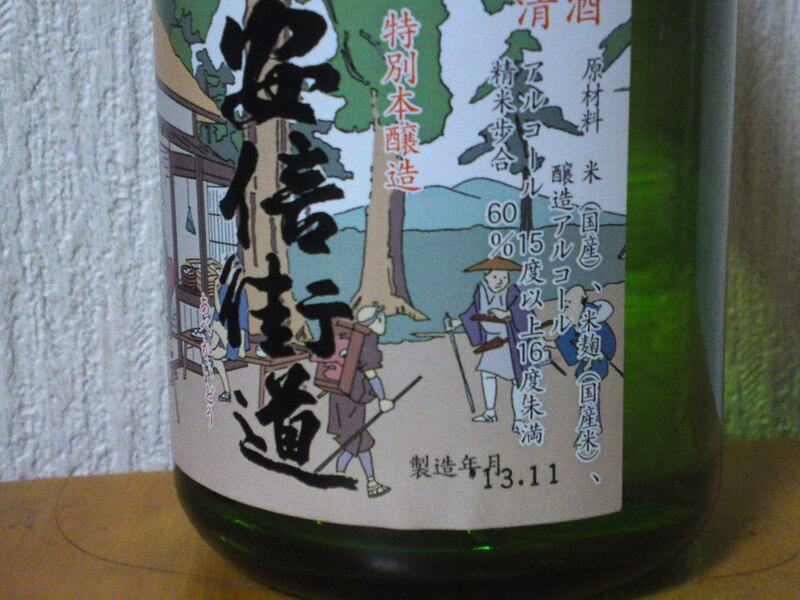 At the end of the Edo period, there were 650 carriers at the Shimada Inn Town. The government of the shogunate collapsed in 1868 and the fording system ended in 1871 when the ferry boat services started. The carriers became jobless. The band of samurais who accompanied the last shogun Yoshinobu to the province of Suruga also lost their jobs. They began to cultivate the virgin fields and forests on the Makinohara Plateau at the west side of the river. They turned them into the beautiful green tea fields wecan admire nowadays. Shimada holds the Festival of Wading the Ôi-gawa River in July or August to recall the hard days of traveling when they were forced to stay more than twenty days at the river side town of Shimada. 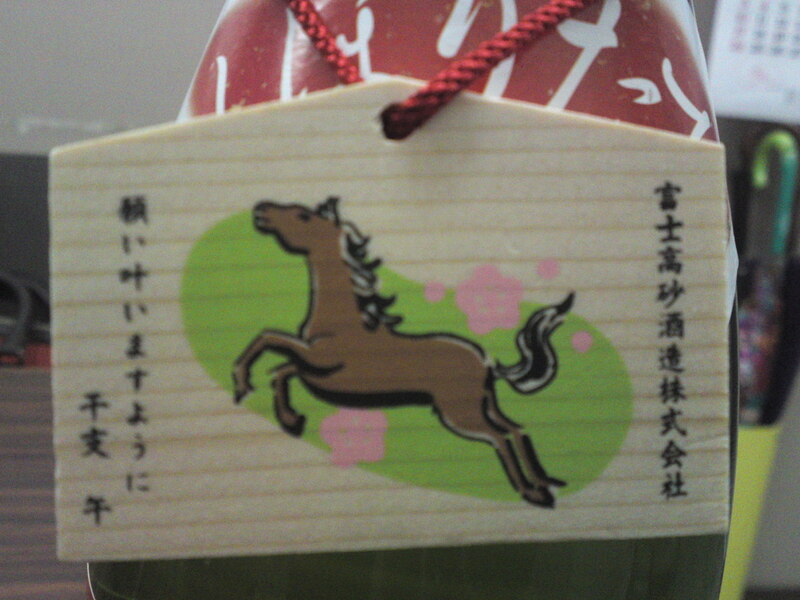 I know a friend who will want this label after such explanations! Disappears quickly on a drier note with hints of oranges, persimmons, dry almonds and dark chocolate. Varies little with food but for a mellower tone with hints of citruses. As nurukan/lukewarm takes on a definitely mellower note. Extremely pleasant while keeping its characteristics and adding a few more facets. 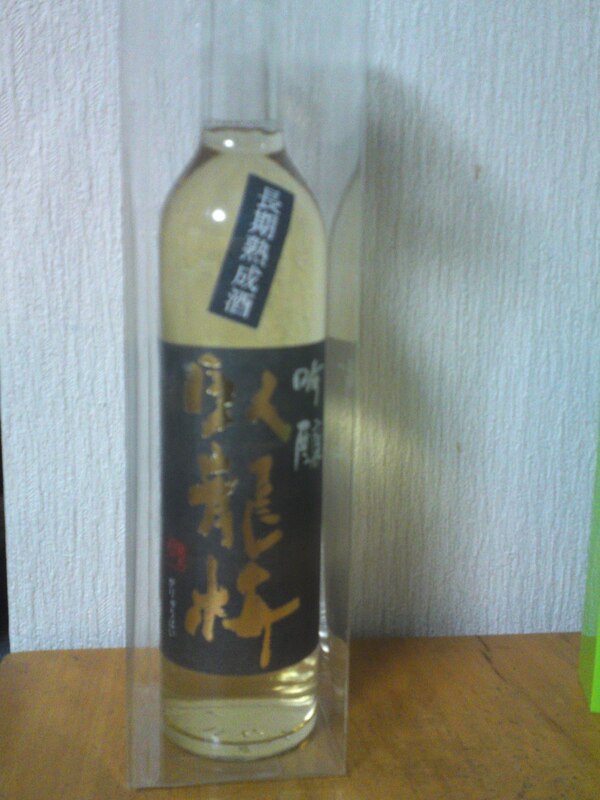 Stays complex even as a nurukan with strong hints of custard, soft almonds and dark chocolate. 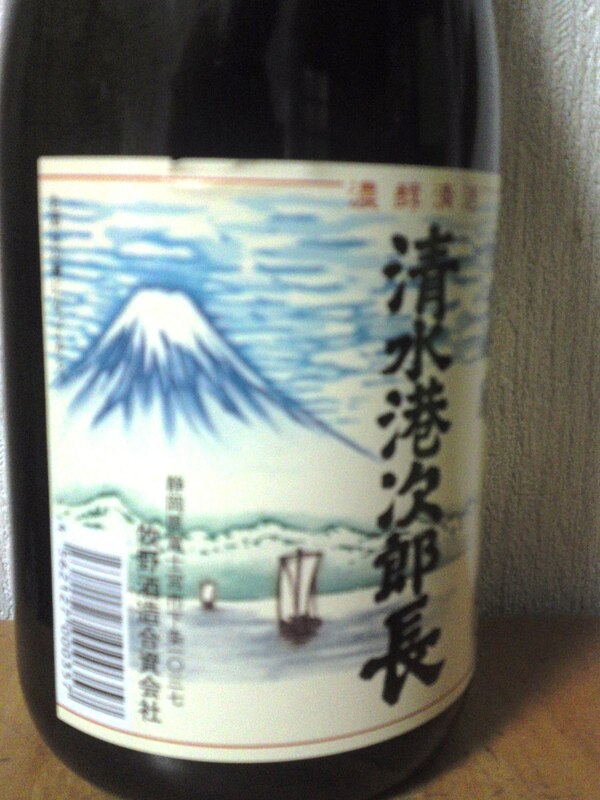 Overall: A solid and reliable sake! 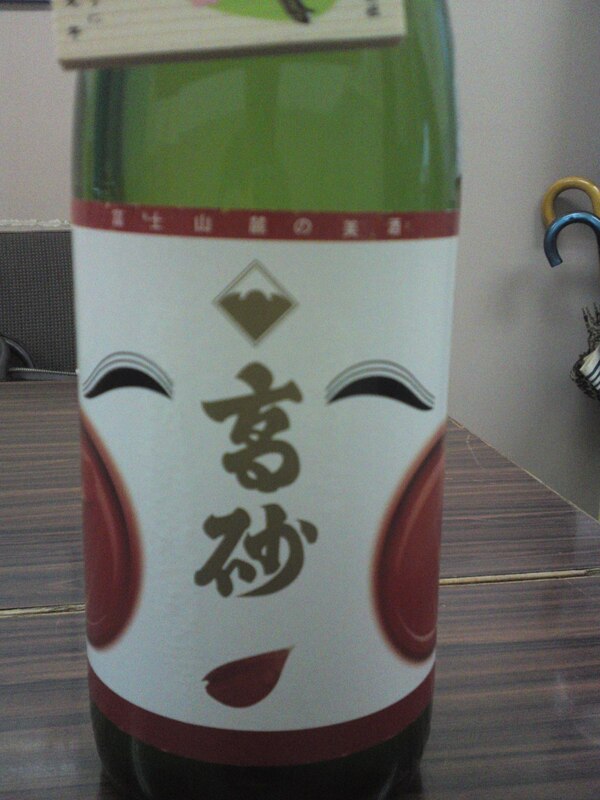 For once I would unusually recommended it as nurukan for maximum enjoyment! Although obviously conceived to accompany food, especially izakaya fare, it is thoroughly enjoyable on its own, especially as a night cap! Sugii Brewery in Fujieda City is known as the most experiencing sake brewery in Shizuoka Prefecture and one has to be quick to grab all their limited brews! “Hatsu Shibori” means “First Press”. 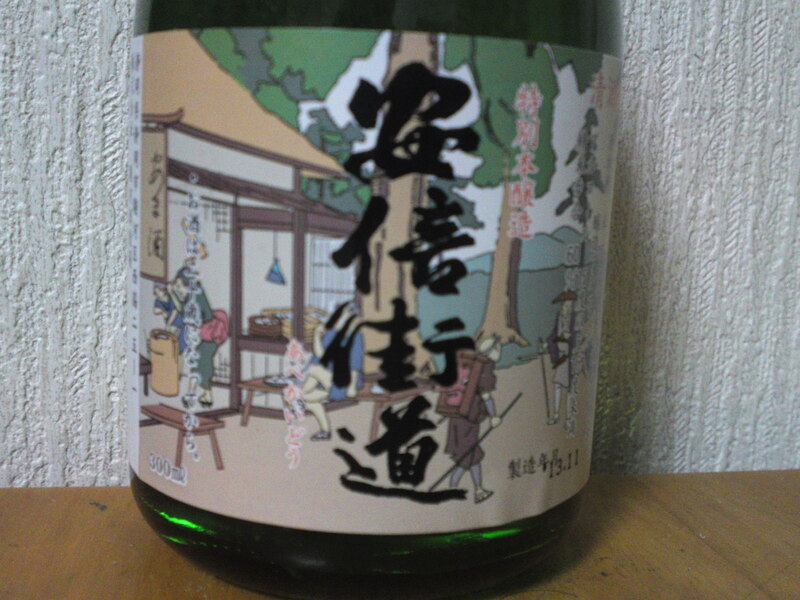 “Kimoto Shikomi・生酛仕込み” is a bit more difficult to translate as it is an old method that many breweries avoid because it is hard work and very risky as it uses natural/wild yeasts. Very light and fruity. Complex, “difficult to catch”. 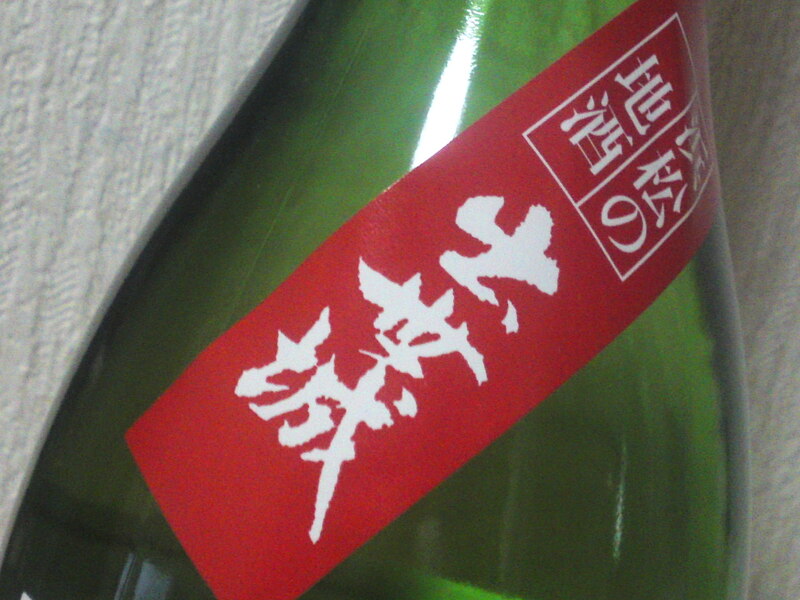 Junmai petillant appears on the palate only after swallowing, therefore tends to linger on for a while with lots of dry apples. 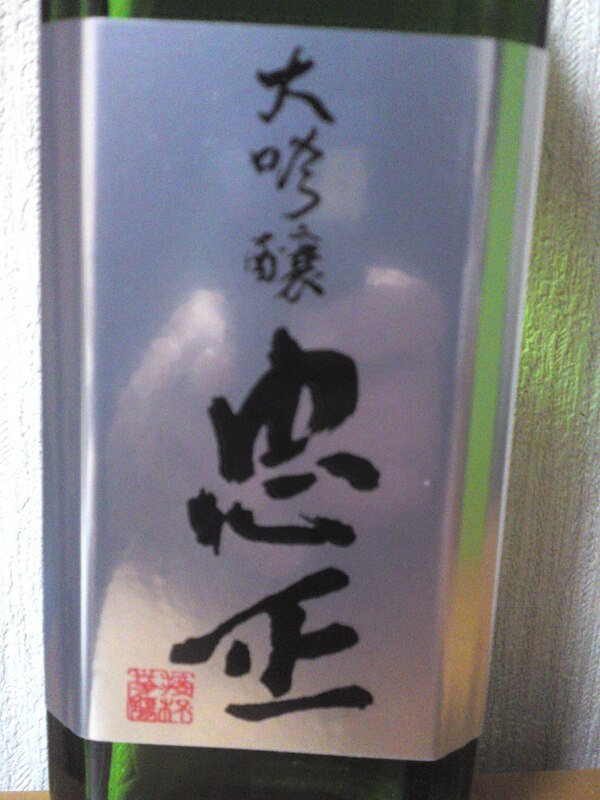 As nurukan/lukewarm, reveals totally diffrent facets with a milder attack with hints of dark chocolate and almonds. marries beautifully with any food, especially heavy izakaya fare. 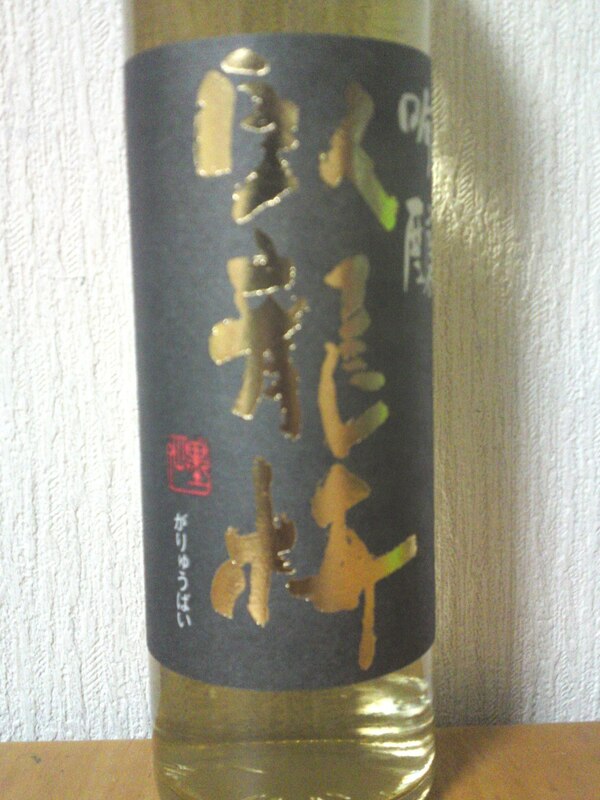 Overall: For the unusual and dry sake lovers! 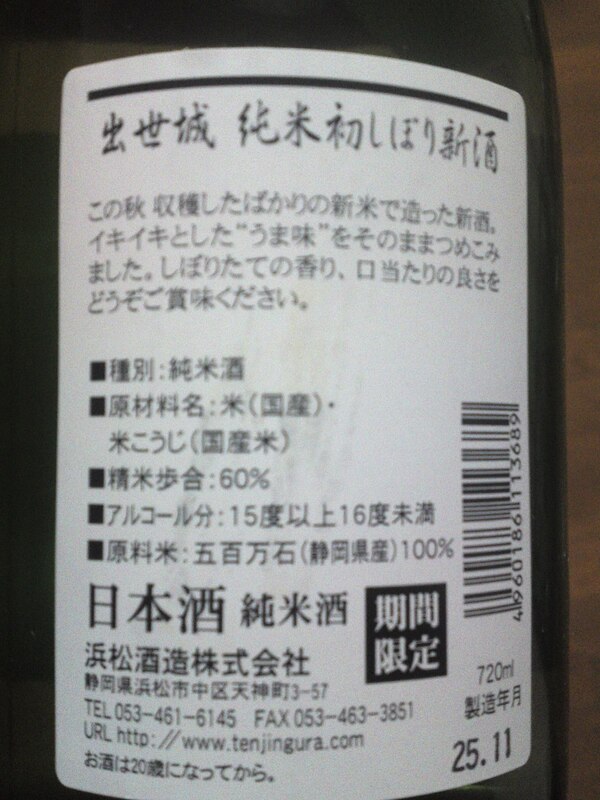 Definitely not your standard sake in Shizuoka Prefecture or elsewhere for that matter! 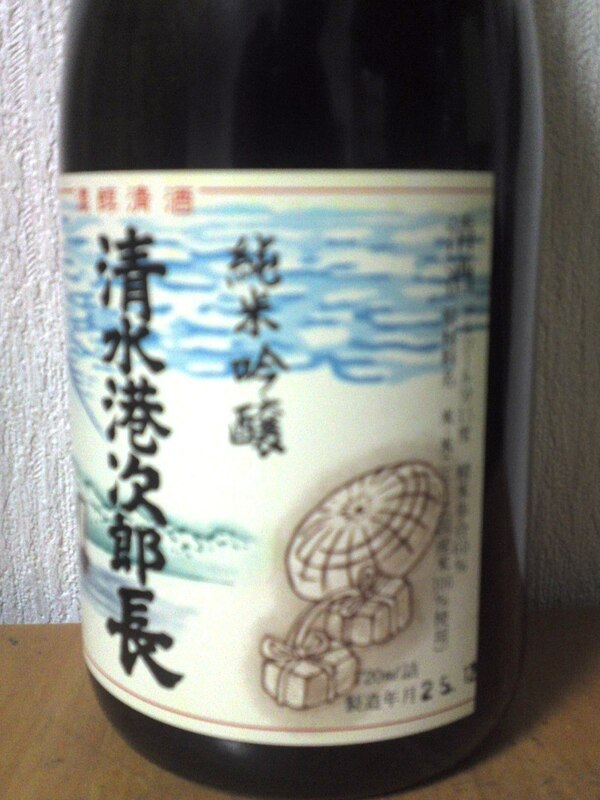 A sake obviously conceived to accompany and emphasize food. Definitely worth a careful tasting away from the norm! 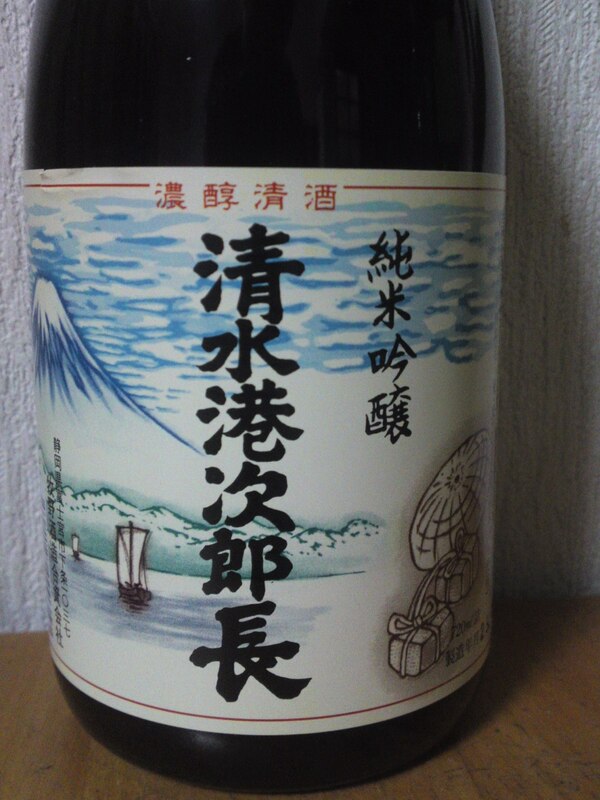 As I mentioned before Suruga Brewery, the “officially” (I do have a bone of contention about that…) second newest brewery in Shizuoka Prefecture preserved the names of the sake brands produced by the defunct Yoshiya Brewery after they acquired their license. And “Abekaido/The Route Along the Abe River” is one of them! The label represents a genuine woodblock print made in Edo period when people did travel a lot along the Abe River in Shizuoka City they had to cross along the Old Tokaido Road! 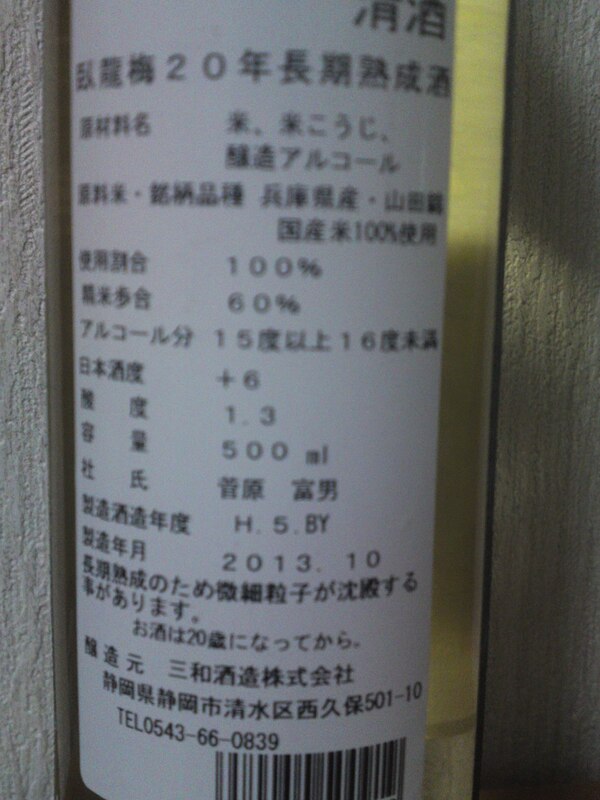 I acquired this particular 300 ml bottle at Cenova Department Store in Shizuoka City which makes the effort to give enough information! Aroma: Pleasant, dry and fruity. Banana, custard. 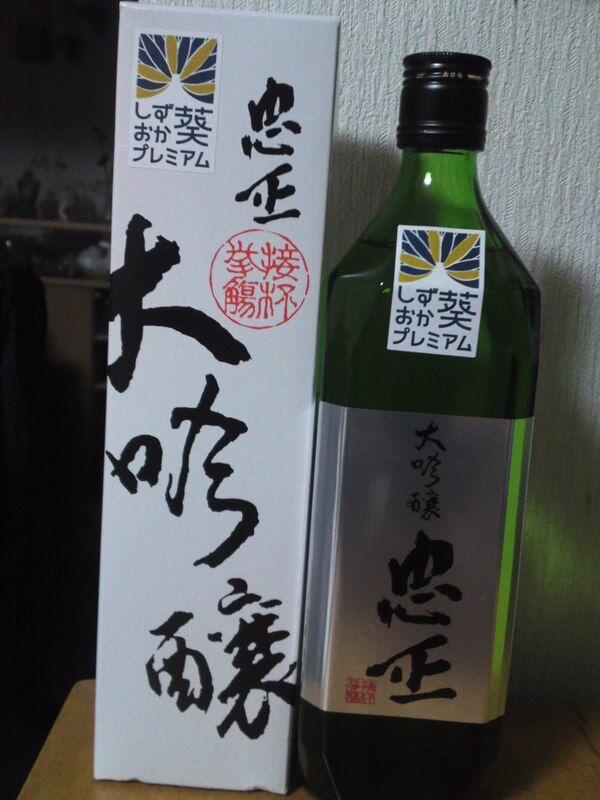 Taste: Well-rounded and deep attack with soft alcohol. Complex. Fruity. Custard, with late hints of dry oranges and persimmons. Lingers only for a little while. 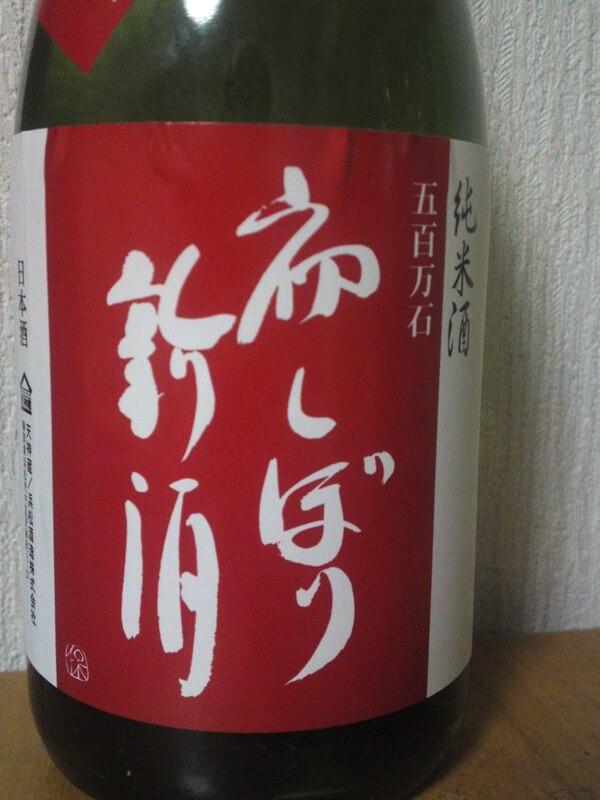 Very elegant and gentle approach for a seemingly “modest” sake. Changes little with food but for a drier and nuttier note. Clings solidly to its qualities all along with or without food. Drinks up very quickly! The kind of ask you can drink for any occasion. Great with any fod that it will enhance without overwhelming it. The perfect present/souvenir to a sake-lover beyond our Prefecture for an endless conevrsation topic on Japanese sake, culture and history! Suruga Brewery in Suruga Ku, Shizuoka City, has certainly come a long way since they acquired the license of defunct Yoshiya Brewery! 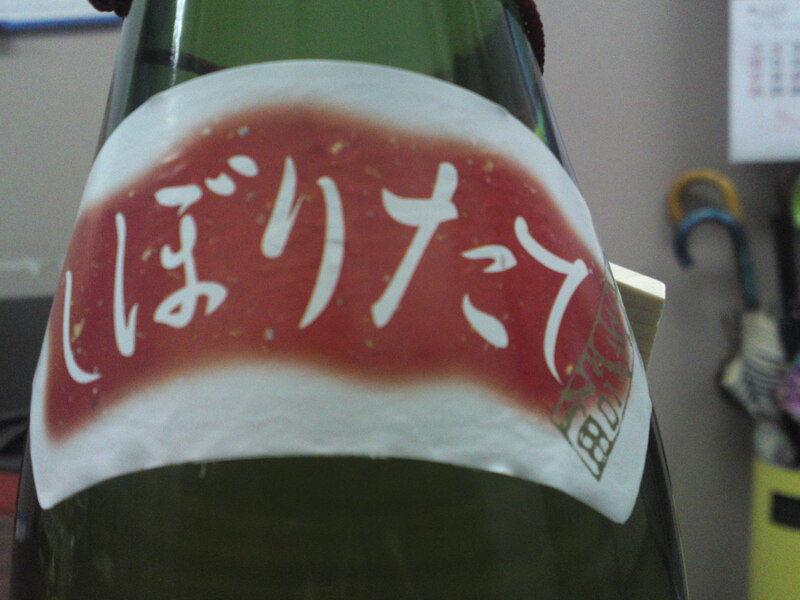 Not only they bought the license but kept on producing the former brewery’s names: Chumasa, Tokaido and Oni goroshi! 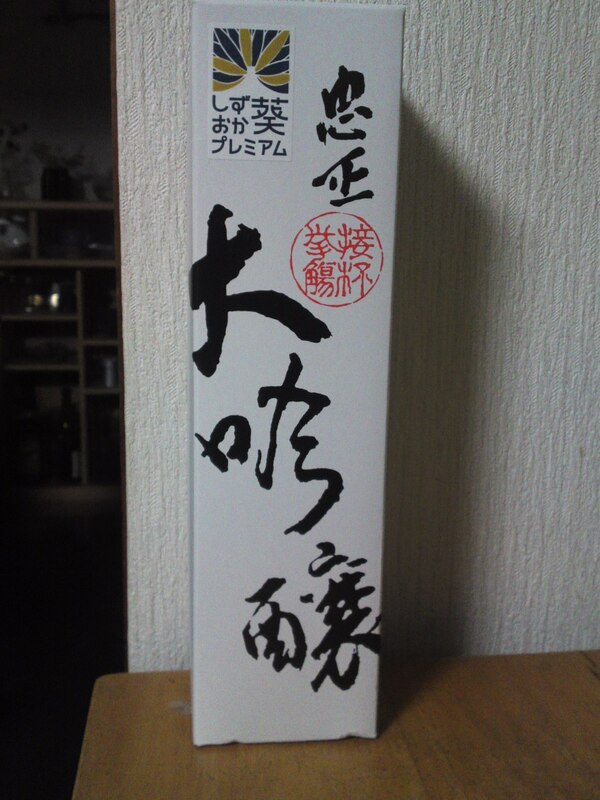 This particular sake has been awarded the accolade from The Shizuoka Prefecture Government! Taste: Well-rounded deep, dry, fruity attack. 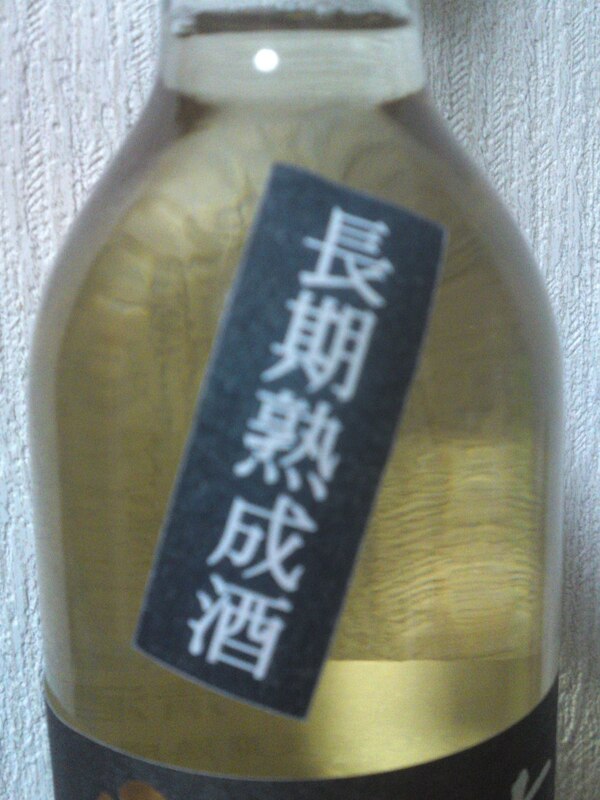 Pleasant alcohol. Banana, apples, pears, oranges, nuts, hints of dark chocolate. Disappears fairly quickly with drier oranges and almonds. Takes on a sweeter turn with each sip to immediately switch back to a drier accent. Dry banana, almonds and pears making a comeback with every sip. 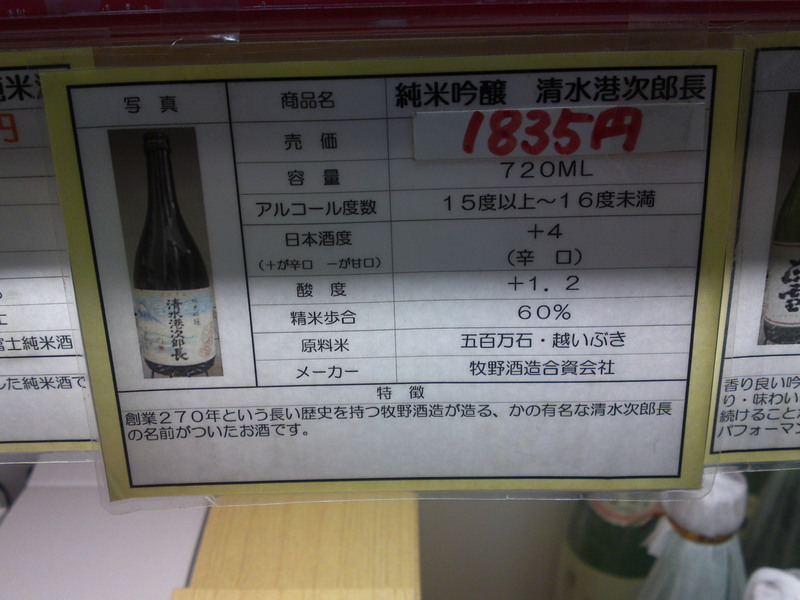 Overall: A very complex and elegant sake in spite of its high alcohol content. 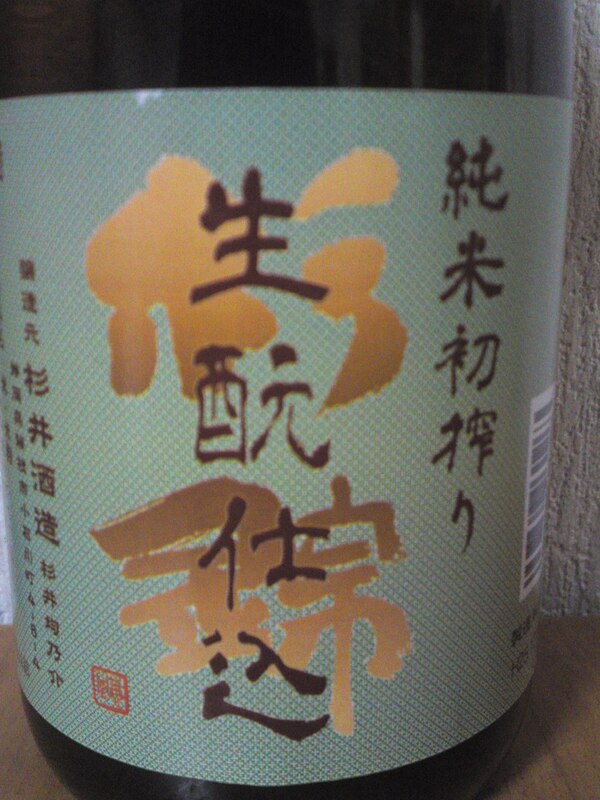 Although thoroughly enjoyable with any food, is best enjoyed slowly on its own, either chilled or at room temperature. Especially comforting after a cold winter day as an aperitif, or even better as a night cap. 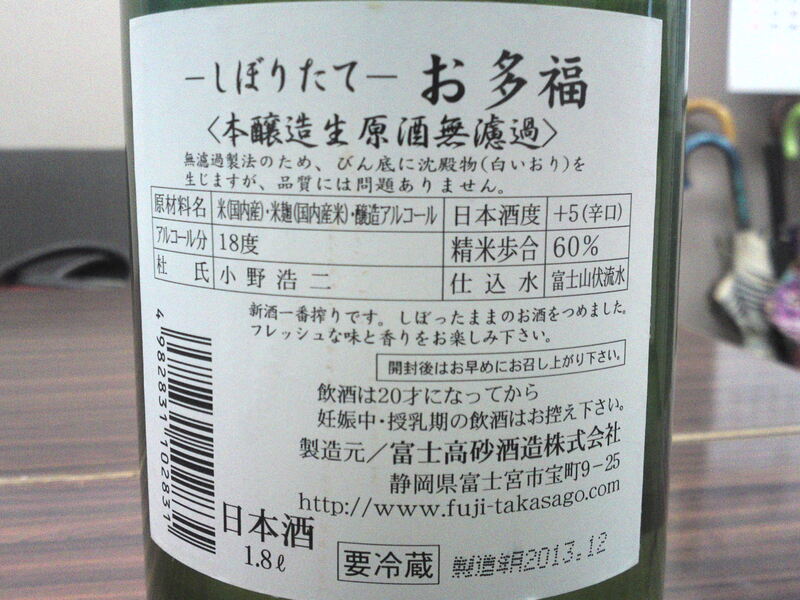 If you must absolutely drink it with food, enjoy it with salads or fish.